According to the Los Angeles Times, (http://www.latimes.com/news/ politics/la-na-campaign5-2008aug05, 0,4069072.story), Barack Obama said today that the nation should draw down its strategic oil reserves to lower the price of gasoline, and that he has also recently agreed that some offshore drilling might be acceptable. He will surely get the flip-flop badge of the week. Historically, every time the strategic oil reserves have been tapped, gasoline prices have dropped soon thereafter. Voters want lower gasoline prices, so it would seem to be an easy, cheap palliative gesture, with the added virtues that House Speaker Nancy Pelosi has been calling for such a move, and President Bush is against it. Points are scored all around. 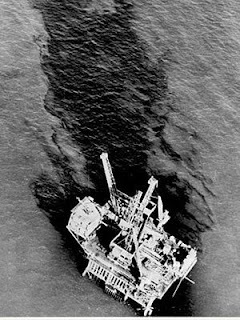 According to the San Francisco Chronicle (http://www.sfgate.com/ cgi-bin/article.cgi?f=/c/a/ 2008/07/22/MN6M11SN60.DTL) there might be 11 years worth of oil on the US continental shelf, based on federal government estimates, 12% of it off the coast of California, the rest in the Gulf of Mexico and Alaska. 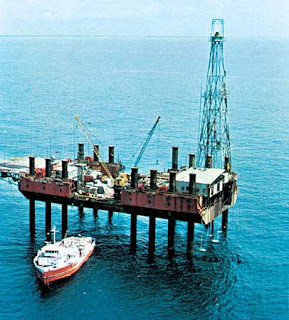 But since offshore drilling has been banned since 1982, in memory of the horrible oil spill at Santa Barbara in 1969, the estimates are not solid. The compromise energy proposal released by the "Gang of 10" senators just before the summer recess would allow drilling off Virginia and other areas of the southeast (with states' permission), and provide substantial funding for alternative energy and conservation. Obama favors this proposal. It is widely acknowledged by everyone, even drill nuts and oil companies, that opening the shorelines to drilling could not possibly have any effect on gasoline prices before 2030. To call for offshore drilling “to lower prices at the pump,” during an election campaign, is nothing but poll-driven pandering. So what is Obama up to? 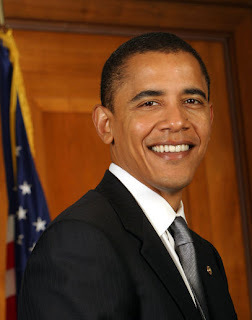 The good news is that Obama is getting some political experience. My greatest doubt about him is whether he actually realizes that not everyone is rational. In fact, most people are not. It is futile, actually counterproductive, possibly dangerous, to confront irrationality with reason. Most people react on the basis of emotion, habit, tradition, and superstition. Obama’s recent policy shift is a sign that if he did not know that before, he is learning it now. I have the same doubts about him in the foreign policy arena, when he sometimes talks as if he thinks he can sit down and work out international differences over a cup of coffee. Does he really not understand that there are people who cannot be spoken to? I worry that he suffers from the delusion that most people will respect evidence and reason. That would make for a disastrous presidency. Look how far irrational reactivity got George W. Bush. Irrationality often leads to heartbreak, of course, but Obama needs to let just a little of it leak out in a controlled way. His recent shifts in energy policy, superficial though they are, may be just the prescription.